- a full chalendary for the wiccan year, - all celebrations and rites explained, so how about "the Wheel of the Wiccan Year"
- a re-think the world and become wiccan in mind and spirit- book. - I Was considdering "Wicca, a Year and a Day" perhaps? 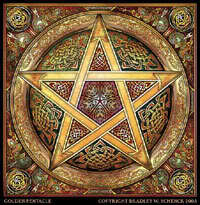 - And what about "All One Wicca" - what is it about? I saw your list of books and i was really interested in getting some. Could you please email me so we could talk more in detail. Wow, I'm amazed at the amount of books you have. I won't hesitate to jump on an opportunity like this! This will be most of the books. So.... Yeah. I know that's dramatically long. But I would be forever grateful if you were to see this "little" message. I am new to this forum and do not have a lot knowledge having to do with rituals. I would be very appreciative if you could send me the long list below.